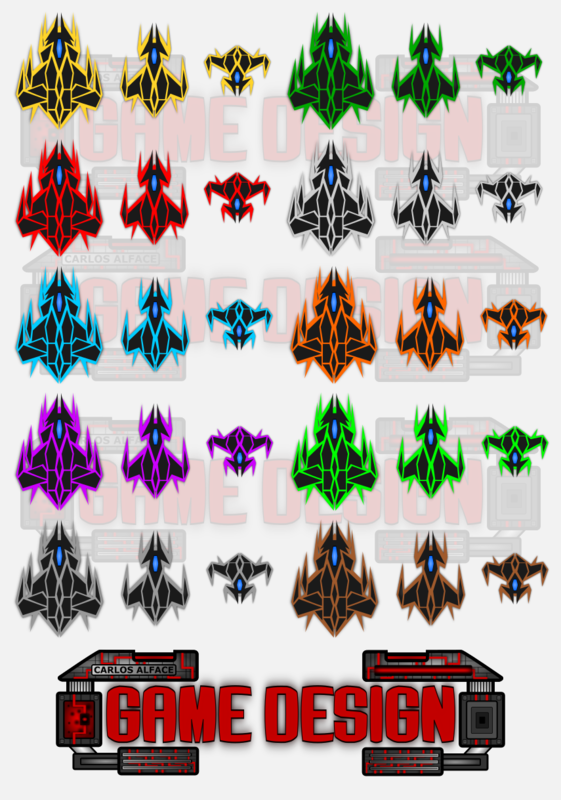 2D SpaceShips pack with 30 spaceships images in PNG format with transparency. Hi, sorry I am not practical, but you can know if your material you can change it? also completely? Then you can use it in a commercial game? What kind of attribution should I do just a link to your project more the author's name? Anyway congratulations are really good models. Hello to me is the fundamental thing is respect and not create problems to anyone, my game this is a simple space shooter I'm not a programmer, but I'm trying to learn, with the creation of small minigames and to go to always create something more complex. However no problem for the link I can put it both inside the game and in the page where main, however I am a curious person and I must say that your site is really beautiful, there are really many programs that I did not know and I wanted to thank you also with This. 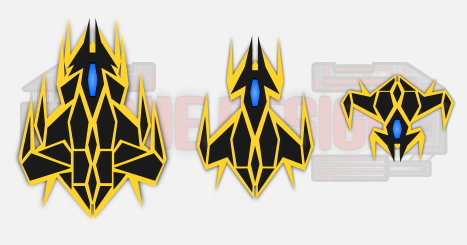 I'll show you a little preview in the meantime of the new model, of course is not the final version. Really very nice, although working on all the pixels is not easy, it takes so long;). pixel art is taking too long to say, anyway I try to realize that style, I have to correct the color black because otherwise in the map you can see the ship completely dark and gets confused easily anyway Let you know soon the progress. 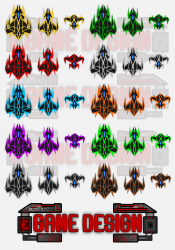 I really hope the game you like, it's a simple space shooter, only that it is a space invaders style my version, so I try to diversify the whole thing to make it more original I mean, new modes other than the original ones.